Thirty of the top Christian hits by prominent artists are featured in this collection. 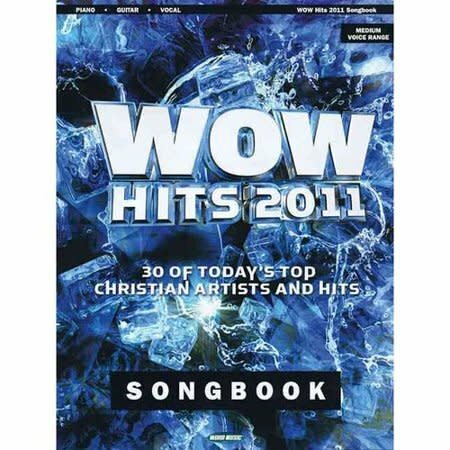 WOW HITS 2011 SONGBOOK (Sacred Folio). Thirty of the top Christian hits by prominent artists are featured in this collection, including: Better Than a Hallelujah (Amy Grant) * Forgive (Sanctus Real) * The Greatness of Our God (Natalie Grant) * Healing Begins (Tenth Avenue North) * Love Never Fails (Brandon Heath) * My Own Little World (Matthew West) * Our God (Radio Version Chris Tomlin) * Until the Whole World Hears (Casting Crowns) * The Words I Would Say (Sidewalk Prophets) * Your Love Is a Song (Switchfoot) * and many more.